Welty’s Bridge carries Mt. Pleasant Road over Sugar Creek near Strasburg in Tuscarawas County, Ohio. The twin pin-connected Pratt through truss was constructed in 1914. The bridge crosses adjacent to what was known as Welty’s Mill, a grist and saw mill that was constructed circa 1816. 1 The grist mill, the first in Franklin Township, was built by John Aultman. That year, Aultman petitioned Tuscarawas County for a road to be built from Lawrenceville, near Bolivar, to his mill and to the state road that extended from New Philadelphia to Shanesville (now Sugarcreek). Aultman’s son-in-law, George Welty, took over operation of the mill in 1832. 1 In 1845, Welty constructed a covered bridge over Sugar Creek at his mill, with the county paying $150 of the cost. 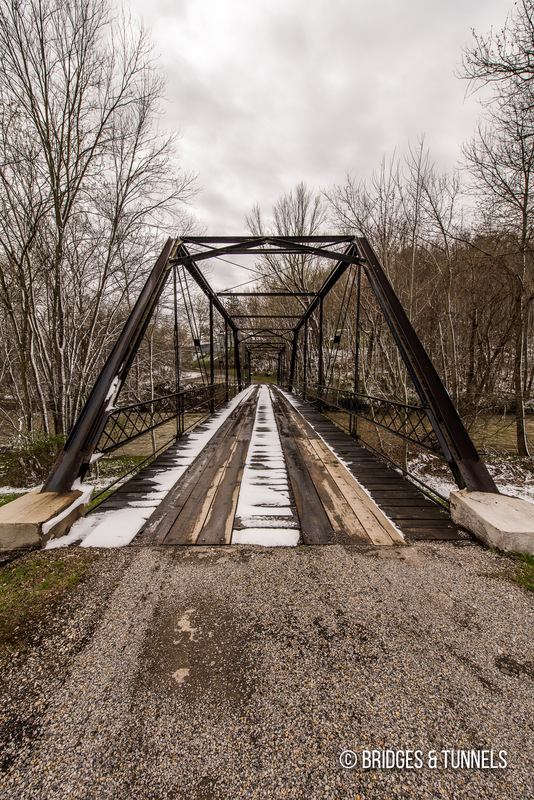 A new covered crossing was erected in 1866 and was locally known as Welty’s Bridge. 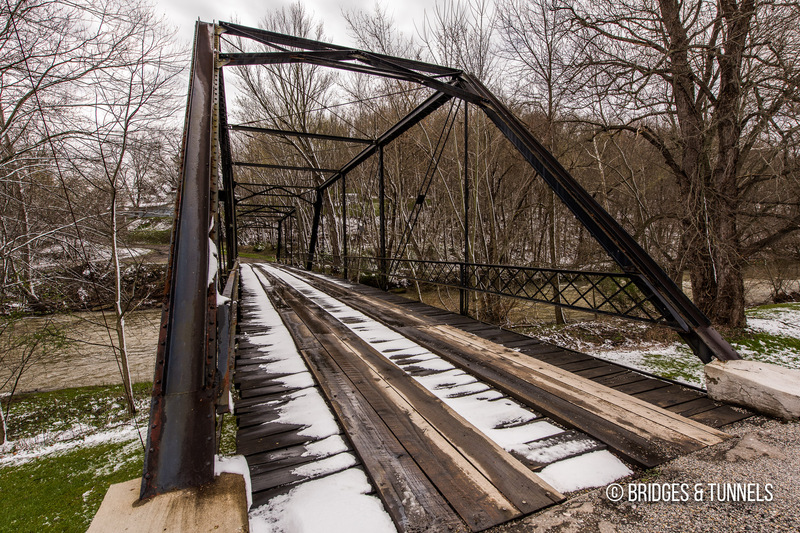 It washed away in a flood in 1913 and was replaced with a Pratt through truss. Baker, Jon. “Local History: Welty family well-known for grist mill and bridge.” Times Reporter [New Philadelphia], 29 Apr. 2013.